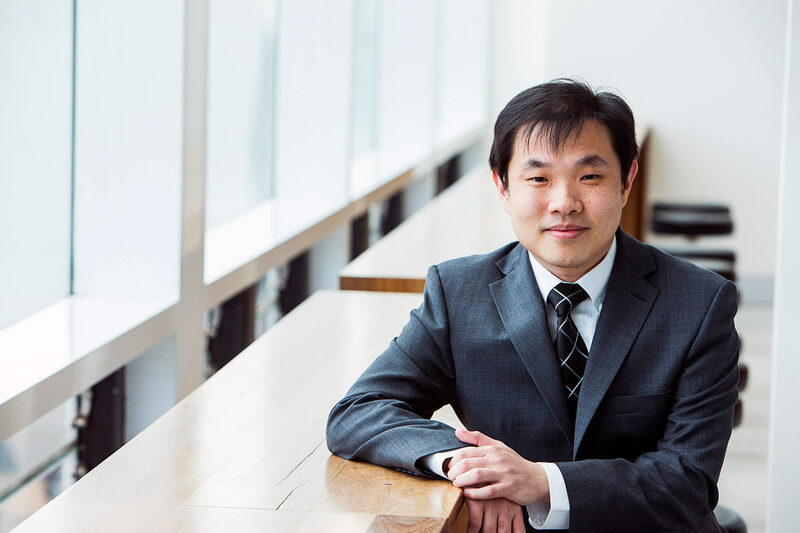 With e-commerce giant Amazon launching its online retail service in Australia to a muted reception, new research from Eric Lim and his colleagues, Fei Liu, Bo Xiao and Chee-Wee Tan, on the impact of product appeal and website quality on online purchases is timely. "Consumers are starting to feel comfortable with doing e-commerce, with many now more comfortable shopping online than going out to the store, especially people who have grown up with computers," says Lim, a senior lecturer in the school of information systems and technology management at UNSW Business School. "But companies have not yet 'tamed the beast'. Now is the time to get it right." One motivation for the research was that while consumers are moving ahead, happy to experience things online, companies are not always keeping up. "Businesses such as Alibaba or Taobao are not averse to experimenting, with Alibaba in particular being very innovative. They've had to fight for their market share, and they came in to the marketplace with the mentality of fighting," says Lim. "[But] businesses with a traditional web presence are falling into a rut, as they're comfortable with what they're doing. "There will be new players, and as consumers get more comfortable with e-commerce, existing businesses will have competitors. Product appeal is an aspect that companies neglect – just putting a picture of the product on a website isn't enough anymore." The research has unearthed a number of pointers as to how virtual retailers can make their products appear more tempting online. "When consumers visit a website, they want to know they've made the right choice, to justify their purchase decision," says Lim. "They need a diagnostic tool to evaluate the product." An area where companies can up their game is to have features such as virtual product presentation, where different angles of the products are presented, or which allow consumers to virtually interact with the products. The goal here is to allow products to be presented as close as possible to how they will actually be delivered. "If a particular product could be customised, it's important to allow consumers to virtually interact with the product during the customisation process. A really good example of this is offered by Adidas, where you can customise your own sneakers." Lim likes to sum up the process by making a comparison with a restaurant. "You can have the best-looking restaurant, the best staff, but if whatever you serve up isn't appealing, it's going to negatively impact on the way that consumers perceive the restaurant," he says. For John Rosato, digital marketing manager at award-winning agency Soul+Wolf, it's not so much about having a perfect product or a beautiful website, but rather having both working together. Rosato notes that with products from bigger brands, such as Nike, there is less of a need to showcase the product, because it's already been showcased offline. "Other products, though, aren't available in bricks and mortar stores, and customers aren't able to 'touch and feel', and understand if a product is right for them," he says. The fashion industry exemplifies this approach through visuals and imagery, while for technical products, information from FAQs is often the key. Among the innovation Rosato is seeing online is sizing technology, which allows the website to personalise sizing to the user. "This is service delivery quality – giving consumers all the information to make a purchase," he says. "Giving customers strong visual information and cues is extremely important in communicating the value of the product." Descriptions and especially photography are key here, but Rosato admits this is resource intensive. And some brands can be resistant to doing it properly. "Clients sometimes want to work with stock photos, but the difference in quality in creating your own pictures for the purpose improves the look of the thing considerably. Customers want to see what they're getting," he says. During the next couple of years, Rosato feels the key to success for e-commerce will be "bringing more of the bricks and mortar experience online". Present innovations include augmented reality, with eBay and Ikea entering this space, and 'live chat', where consumers can ask questions of someone real – a process that could eventually be semi-automated by bots. According to Donal Stott, head of content at digital marketing agency WME, a brand with a bad website can still be successful, with Amazon US a case in point. "The website, when it first launched, was terrible for many years, but succeeded on brand appeal and trust – and being known as the place to get cheap products," he says. For Stott, it's the price of online shopping that dominates purchasing decisions. "We are finding online shoppers are getting smarter, and very price conscious. They may Google four or five sites to find the best price, and the best returns policy," he says. And making it easier for online purchases to be returned has been a real game changer. "Once one company offered free shipping on returns, then everyone had to [do it]," Stott says. "One of the reasons [online fashion retailer] The Iconic is so successful is because of its returns policy. It imitates a brick and mortar experience, or even improves on it in some ways, as you can try things on without the pressure to buy, and then return some or all of it. This is what has swung the balance in e-commerce's favour." Stott, too, sees the future success of e-commerce depending on its ability to imitate the 'bricks and mortar' experience of a real shop, where, as he puts it, "you feel that you have a proper choice". He gives the example of a client selling women's clutches and bags, who discovered they needed to show the customer what it would be like to carry one of its products. "We found there was a higher conversion rate if the product was shown with a model holding it, revealing its true size, and what it looks like with a particular outfit." Stott finds that customers check out products in stores, then make a decision online – and not necessarily for that exact product, but something similar. A tactic used by Stott's company is 'dynamic re-marketing' – digitally following potential customers who have looked at products, and showing them something they've already looked at, such as via a targeted ad on Facebook. "Re-marketing is all about talking to individuals," says Stott. "To increase conversions, e-commerce stores are moving towards a targeted market message." Says Lim: "Young people have the imagination to experience a product online, and are willing to take the plunge and see how it goes. The time for e-commerce is now – we've been dreaming about this for 20 years." Page last updated: 19/04/2018 3:19 AM Disclaimer Some pages on this website are updated dynamically on a regular basis. This may not be reflected in the ‘Last updated’ date.